The Ultimate Fighting Championship on Saturday brings its second live event effort to Fuel TV with UFC on Fuel TV 2: Gustafsson vs. Silva from Ericsson Globe Arena in Stockholm. Alexander Gustafsson has been streaking up the light heavyweight ranks, winning four consecutive fights since his lone slip-up to Phil Davis. 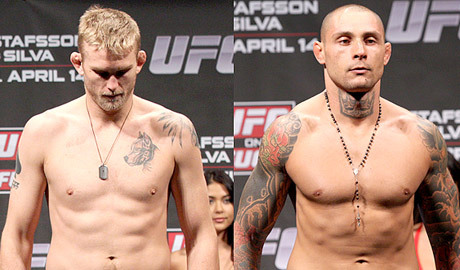 Thiago Silva makes his return to action in the main event, replacing Antonio Rogerio Nogueira. Saturday is Silva’s first fight since fulfilling the conditions of his disciplinary action in Nevada for a drug test infraction. 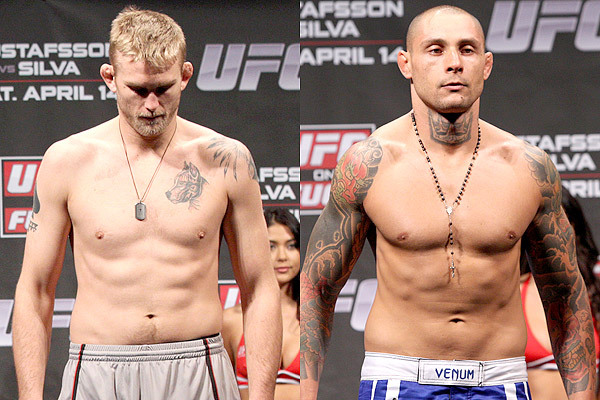 Gustafsson and Silva both weighed in at 205 pounds on Friday, making their headlining bout official. Gustafsson, however, has the added pressure of fighting on his home turf with expectations of a nation on his back. The co-main event pits Brian Stann, who looks to rebound from a loss to Chael Sonnen, in a middleweight showdown with Italian fighter Alessio Sakara, who lost to Chris Weidman his last time out. Neither Stann nor Sakara had an issue making weight. German fighter Dennis Siver, however, did. Making the cut to featherweight for the first time, Siver tipped the scale at 147 pounds. He was given two hours to lose one pound and make the 146-pound cutoff. *Siver was given two hours to make weight.